Jordan is a 22-year-old software developer from Manchester. Although he sits at a desk during his working week, he likes nothing better than swinging a leg over his Honda CBR600RR at any opportunity. 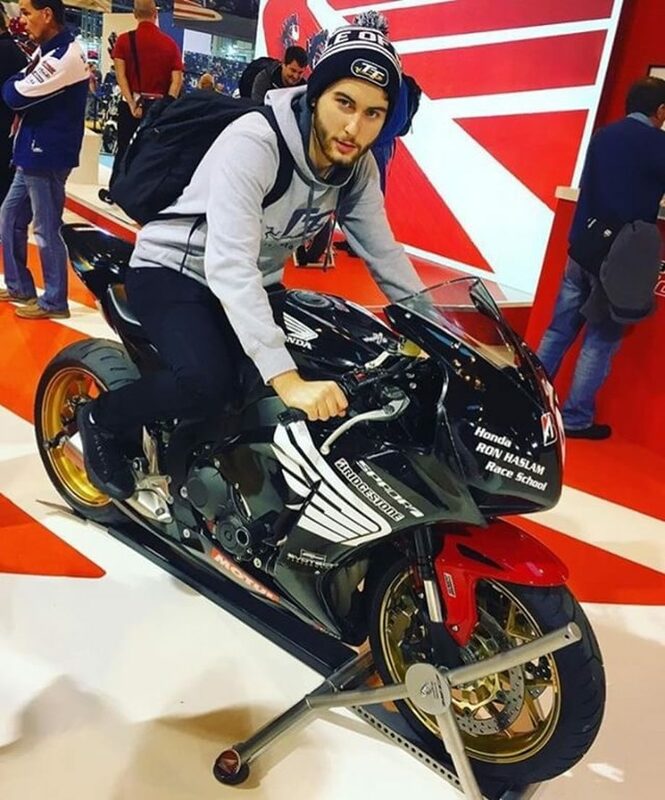 Jordan cut his teeth on a CBR125R, then moved onto a KTM RC390 and he now once again has a bike that coincides with his namesake, a Honda CBR600RR. With his Instagram name being @cbrjordan we guess there is only one more step he can take... a Fireblade! If I’m using the motorway, wind noise can get too much. I usually ride with my intercom on to drown out the wind or at least distract me from it. The worrying thing about this though, is the ringing in my ears for hours after even the shorter rides. I was keen to give the Auritech Biker plugs a try and see what they were made of. I wasn’t sure what to expect but was really impressed by the way they brought down wind and engine/exhaust noise. I mean, my CBR600RR isn’t the loudest of bikes but it’s definitely loud enough. After trying them for the first time, I was really surprised at how well they worked. I’ve tried the standard squishy plugs and found that they slowly pop out with my ears being small. I didn’t have this problem with the Auritech plugs, they gripped while I put my helmet on and then held themselves in place for the duration of the journey. I found listening to music was still possible and the wind noise was massively reduced. The engine noise from my bike was brought down to a much more comfortable level, which in turn allowed me to focus more on what was going on around me. As someone who regularly didn’t wear ear plugs it was initially a bit unnatural, but it didn’t take me long to adjust. It did feel like being in a bubble, but once I got going I noticed it was easier to concentrate on the road ahead.